If you are like me you constantly clean and are constantly looking for an easier, newer or better cleaning product. With three kids it is like the cleaning never ends. 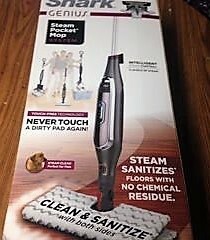 Shark comes to the rescue once again for my house hold with their new Shark Genius Steam Pocket Mop System. I am always amazed every time we get to try a new Shark product. Each product we have tried has been amazing they have never let me down. I am always wondering how they will out do their last product with their newest. They just keep on improving! 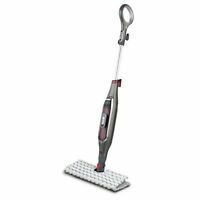 The Shark Genius went through extensive clinical testing and is proven to sanitize as well as clan when using the Genius mop head only with steam mop. (keep in mind household conditions and situations may vary results) For me with a little one that is a huge plus Sierra is two and is in the floor playing all the time. I am always worried is the floor clean enough are there germs everywhere. With Shark Genius I know I have done the best cleaning job I can for my kids. If you have pets the steam cleaning technology is perfect for cleaning pet stains and eliminating germs. Just flip the head and blast away stuck-on messes! There are three levels of steam for just the right amount. 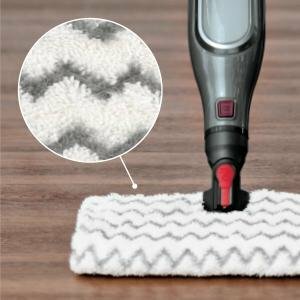 The touch free pad technology makes sure you never have to dirty your hands again with those gross pads most mop systems use. The dirt grip pads are also washable which means no more buying expensive disposable pads either! What more can you ask for?